From tropical rainforests to cool highlands and snow-capped volcanoes, discover the diverse geography of Colombia’s Andes. Experience the traditions and lifestyles of colorful mountain towns and the modern and fast-paced city culture. After breakfast, meet your professional bi-lingual cultural guide. Today will be a day of urban discovery! First, take a relaxing stroll at the botanical gardens, home to many plants and bird species only found in Colombia. Continue with the “Plaza Botero,” featuring 23 massive bronze statues. Next, board Medellín’s innovative metro and cable car public transportation network to gain altitude for truly stunning views. Reach the Comuna 13 via escalators, where the community made the walls of the city bloom with a large mural project that depicts life in the Comuna. Interact with local artists, and let our guide unfold the chaotic history of the city and its incredible transformation process. Today, the adventure begins. Meet your expert trekking guide and jump in our luxury van to reach the village of San Fransisco, located 2 hours east of Medellín. 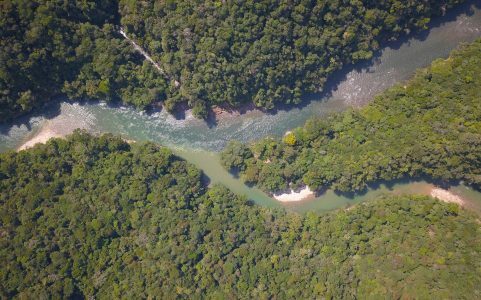 This is the gateway to one of Colombia’s most pristine jungles: the Samana Watershed. Ride a 4×4 to the trailhead and trek on single track trails through the forest. No need to carry heavy packs, as all the food and lodging will be locally sourced along the way! Reach our first stop after 4 hours of uphill hiking; the hamlet of “Agualinda,” where a tradicional lunch will be served. Keep on trekking on a mild downhill slope and cross many clear streams. Enjoy a cool off in the inviting swimming holes, and let your guide show you the countless endemic plant species and their medicinal use. Meet the rural communities of “el Porvenir” and let them surprise you with an outstanding dinner and comfortable rooms amid the mountains. Spend the evening resting and listening to the “campesinos” telling their local myths and stories. Enjoy locally made ” tamales” while staring over the maze of jungle-covered mountains that compose the landscape. The afternoon is more relaxed, with only 2 hours of mild downhill hiking. Reach “Río Verde de los Henaos” and cool off in the river. Once again, the local communities will show exceptional hospitality, and receive you in their homes as if you were family. Pack-mules are available if needed. Rise early for an optional morning birdwatching tour, or simply relax and chat with the locals. After breakfast begin your hike following the bends of the upper Río Verde for about 3 hours before reaching populated areas. In the afternoon, discover the bucolic village of Argelia and enjoy a well deserved cold beverage and local lunch at the village’s park. Meet your driver for a 4 1/2 journey to a coffee estate in the traditional town of Fredonia, where you will spend the night. Relax in a stunning farm and let our chef serve you Colombian fusion cuisine. After breakfast take a walking tour with a coffee grower to experience the coffee making process first-hand. Learn how coffee is linked to every Colombian family and it’s history is a source of pride for the “Paisa” people. Return to the estate for a delicious Colombian lunch and relax for the afternoon at the swimming pool. If you have the energy, jump on a horse and discover the old railway and it’s impressive bridges. Spend one last night in “campo amor” and rest well before the next trekking adventure. In the morning, drive 4 hours to Manizales, the most adventurous of the three cities that make up Colombia’s “coffee triangle.” Enjoy lunch by the city’s Cathedral, and a walk to the park of the “Monumento a los Colonizadores'” for an active discovery of the city’s fascinating history. From Manizales, take an afternoon excursion to the Río Blanco Nature Reserve, located just two miles from the city. In terms of biodiversity, Colombia is 2nd in the world, with nearly 2000 bird species. Walk on the trails that weave throughout the 12,187 hectares of the reserve and look for endemic plant and bird species from the central Andes cloud forests. 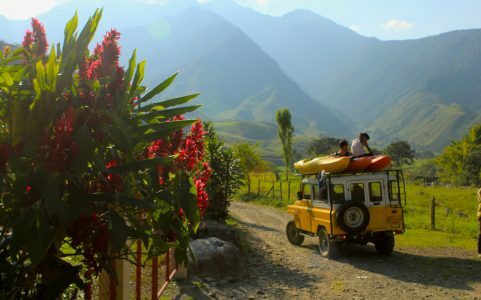 After your visit, begin a 1 hour drive on switchback roads that lead to a traditional Colombian ranch located in foothills of los Nevados national park to acclimate to the high-altitude. Enjoy home-cooked meals and a night of peaceful sleep in the mountains. In the morning, drive 3 hours in a comfortable 4×4 truck to the entrance of “Parque de los Nevados.” Begin your guided 3 hours hike through sub-tropical tundra to the panoramic view of the alpine Lake Otun. On the way, learn about the “Páramo” ecosystem and it’s fascinating spectrum of endemic species, such as the iconic “Frailejones” and “Cojines”.This endemic ecosystem produces 85 percent of Colombia’s drinking water while only accounting for 1.7 percent of the country’s land. Establish a base camp at a breathtaking alpine lake, enjoy quality food, and meet the local park rangers. Get some rest tonight before the final push to the summit the next day; tents and sleeping bags are included. Get up to an early alpine start and hike for six hours with your guide to the snowy summit of El Nevado del Santa Isabel (4960 m). Look out for high-altitude flyers such as endemic bearded helmet-crest hummingbird and Colombia’s iconic national bird: the Andean condor. Near the top, the trail switches to a rockier, steeper path. Due to high altitude, the progression can be slow and strenuous, but once at the summit, a stupendous 360° panorama reveals the entire Magdalena valley and its coffee farms on a clear day. Here, witness one of the last remaining glaciers in Colombia. Return to the base camp and stay overnight in tents by the peaceful lake Otun. This is the final day of the trek. Complete the circumnavigation around Lake Otun to return to the park entrance in Potosis. Share lunch and tea with the “guardian” family of the park, a knowledgeable and welcoming Colombian family who live full-time above 4000 meters of elevation. Drive back to Manizales and settle in your hotel before an evening yoga session. Wake up at to a gorgeous view of Andean mountains. Enjoy the morning yoga classes before savoring a healthy local lunch. Return to Manizales where you will say goodbye to your guide and receive an airport drop off. This is the end of your trip. Get ready for serious, heart-raising physical activity! The more physically fit you are, the more you’ll enjoy these challenging, committing activities. Explore the different landscapes of Colombia and view them in a way that few people do with fun outdoor recreational activities. The ultimate adventure-goer’s heaven!